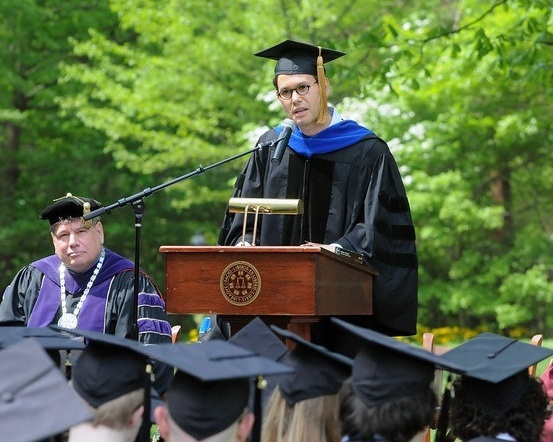 The Commencement address for St. John’s College Annapolis in 2014 was about struggle. President Christopher Nelson ruminates on the unexpected and poignant themes in this commencement speech by Andrew Krivak in his new blog post here. St. John’s College alumnus Andrew Krivak (A’86) delivers his commencement speech to new grads at the Annapolis campus. Johnnies confront ‘the joy of struggle’ throughout each work they read and many of the discussions they have in and out of class. Do you have any stories about particular works you read that shook you to your core? How did you overcome those challenges? Are you still wrestling with these works or ideas? Let us know in the comments!